County Feile Peil, six matches, seventy nine scores with an average of four goals a game, if you weren’t there we told you last week this would be an all action day of football. There was a high standard right from the off as Cappa Gaels man Mikey Carmody caught the throw in, soloing all the way to hammer home a goal against Ardfinnan. That high standard never dropped, it was no coincidence the final play of the day came from Knockavilla’s Jamie Duncan who once again soloed up field linking with his team mates and as he neared goal he was halted illegally, real quality. We congratulate both teams who now have what will be a landmark trip for all the young players who worked hard to help their team win Tipperary’s Feile Peil County Finals. The journey to Cavan/Fermanagh/Monaghan started a long time ago but now the finer details will have to be ironed out. It will of course be a time for all parishes concerned to pull together and give their young players an occasion to remember. After all the excitement of our semi-finals & finals we had our skills competition as all four divisions had representatives take part. A high level of skill was displayed by all in what was a nervy atmosphere. It would come down to who got the bonus points for being fastest to decide our winner. The player with the skill and speed was Liam McCormack of Durlas Óg. Liam will go on to the National Competition that will be held in Dublin shortly details to be confirmed. We wish Liam the best and hope he enjoys what will no doubt be an exciting experience. Lots more skill excitement and drama this Saturday as we head to Dolla for our Feile na nGael Semi-finals & Finals. We will also have our skills competition to come after all those matches. First up will be our U14 ‘C’ Final as Roscrea ‘B’ takes on Moyne Templetuohy at 11am. Then on to our ‘B’ semi-finals, the North & South will look to get a foot in the finals after the Mid & West contested both football finals. 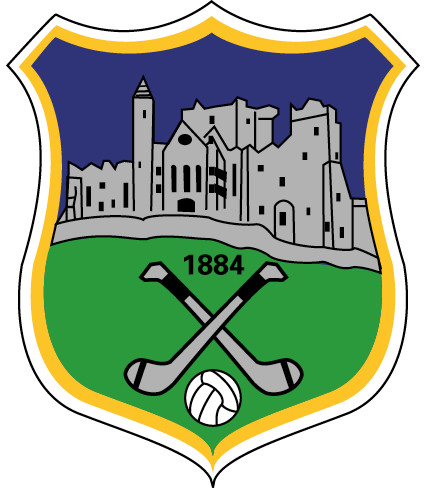 Cashel King Cormacs play St. Patricks, while Ballina takes on JK Brackens. In the ‘A’ Burgess takes on Durlas Óg, while Knockavilla Donaskeigh Kickhams play Carrick Swans. The ‘B’ final follows those semi-finals with the ‘A’ final after that. This game was played at a real high tempo, it took brilliant team play to break the early pressure on Knockavilla. After getting the first score they went behind to a strong Upperchurch who had full control of the first quarter. Knockavilla had trouble winning their own kick out, mostly down to James Griffin catching cleanly; he scored a goal from one such play to take the lead. There was a couple of more goal scares before Jamie Duncan put his stamp on the game. He was the link between the stout defending of Aidan Duggan, Dylan O’Grady & Cormac Carr and the excellent forward play of Orrin Jones, Diarmuid Kinane, Aidan Farrell & Conor Horgan. When they found their way into the game they went from three down to lead by five at half-time. In the second half what advantage the day brought was with Knockavilla as they held their nerve to deservedly be crowned Tipperary’s Feile Peil Champions for 2017. Conor Horgan got the first score with a converted free after a technical foul by the Church defence. Upperchurch had their best spell, Luke Shanahan jinked left n right before pointing. Then James Griffin won three kick-outs in a row, two clear marks, one of which he ran on to find the back of the net with. Another set Luke Shanahan up to shoot, Diarmuid O’Carroll in goal saved this coincided with the turning of the tide. A brilliantly hit line ball invited Jamie Duncan to run on to it at full pelt, he broke through to find Thomas O’Dwyer who pointed. Conor Horgan accurate through-out converted two frees before the lively and assured Orrin Jones hit a sweet left foot effort over to take the lead. Then a left-wing move anchored by Aidan Farrell saw the Church concede a goal. An initial shot was saved efforts to clear saw Thomas O’Dwyer profit to hit the net. Knockavilla added a point to leave the score 1.06 – 1.01 at half-time. The West would’ve talked at half-time about a good start and boy did they get that. Two goals of real class inside five minutes the first a Conor Horgan effort, he side stepped to rifle home, the second came off Orrin Jones laces to rip the net thanks to Adam Daly’s good play. A Luke Shanahan point in the middle of that gave slight hope to Upperchurch, they certainly had to work a lot harder for their scores. The remaining time saw the teams evenly share four points, Conor converted another free and one from play, while Luke Shanahan & James Griffin got the Church’s points. The effort displayed on the day from both teams deserves plenty of applause. The skills of those mentioned above were a joy to behold and only made possible by their teams overall play and years of training together. It is said time and time again, pass to the man in space and make your team mates look good. Well we witnessed a performance for the ages today taken right from that text book as Jamie Duncan covered every blade of grass four times over. He wisely used his team to unlock the tough Upperchurch rear guard with timely 1-2’s and precise foot passing. A great engine and a great leader Jamie collected the trophy great fully sponsored by The Watch Centre Nenagh from Tom Dawson. Knockavilla Donaskeigh Kickhams: Diarmuid O’Carroll, Michael Hourigan, Conor Horgan, Liam Hayes, Cormac Carr, Aidan Duggan, Conor Farrell, Jamie Duncan (Capt), Dylan O’Grady, Orrin Jones, Thomas O’Dwyer, Darren Kennedy, Aidan Farrell, Diarmuid Kinane, Jack O’Neill, Eoin Horgan, Eamon Madigan, Adam Daly, Dylan Sexton Seamus McCormack, Michael O’Dwyer, Jerry Buckley, John Crosse, Jack Ryan, John Hogan, Liam Slattery. 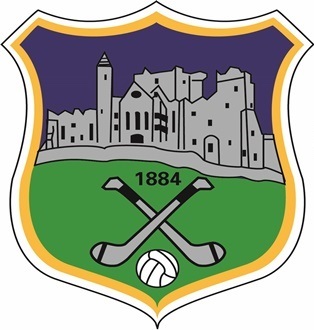 Upperchurch Drombane: Seán Phillips, David Ryan, Tom Purcell, Joe Bourke, Charlie Yates, Pat Ryan, Mikey Griffin, James Griffin, Óisin Treacy (Capt), Eoin Bourke, Seán Ryan, Eoin Lavery, Eoin Noonan, Luke Shanahan, Thomas Ryan, Jack Meehan, Padraig Griffin, Billy Yates, Dylan Casey, Paddy Phelan, Jim O’Dwyer. Another Mid-West battle here and a teak tough defensive display that set the platform for the ‘B’ title to head West along the road. Both keepers deserve credit here, the lowest goal count across all our six games played. Time and again they put their body in the way to frustrate their opponents. Initial momentum was with the Cappa Gaels as they had the first two scores. Add to that a brave save from Brackens Darragh Cunningham and you feared for what might be. Of course Brackens showed why they made the final with their own spell of pressure that put them into the lead. They held that until just before halftime. Again Darragh saved brilliantly with the ball going wide. However the resulting kick-out was won by Cappa’s Ben White he passed to Kyle Walsh who found the net. A huge lift for the West boys and a lead they would not surrender. When it wasn’t Mikey Carmody, it was Sean Cleary charging up field. Ben White’s good movement saw him profit from those runs he terrorised the Brackens defence, setting up and scoring himself. All the Cappa Gaels defending led by Joshua Piveteau, Stephen Dee, Jamie Buckley, Cian O’Carroll and goalkeeper Taylor Allen Flynn, was greatly helped by the work of Sean Carmody, Daire Duggan and Conor Martin. They swarmed around the man on the ball and all on the panel deserved their win. Tormentor and Chief Ben White had the first two points from play. Momentum shifted as Brackens through Stephen Cahill created a goal chance that Tommy Martin finished. Stephen Cahill would get his own score thanks to Tadhg Quinlan & Tommy Martin, 0.02 – 1.01. The lead lasted up until moments before half-time thanks to Kyle Walshe neat finish under the keeper. These teams will take some stopping to not meet again come the Championship final. They cancelled each other out when most other teams would have crumbled. Cappa Gaels got that all important first score of the second period off the boot of Kyle Walsh. JK Brackens only registered one point in the half. Tadhg Quinlan got that score of which they deserved more. The Cappa shutters came down as Ben White stepped into the light. Mikey Carmody got a point from play before Ben had a shot fire off the crossbar. The loose ball was won by Cappa ending with a free that Neil Clancy converted. Ben got his first score of the second half. It was all Cappa Gaels and after Neil Clancy converted his final free. The last score quiet rightly was taken by Ben White as Mikey Carmody again drove up field to assist him. It’s all go now as preparations will be well under way as you read this. The combination of Mikey Carmody, Sean Cleary & Ben White took the game to Brackens they found a way to hurt their opponents. They will be a handful for any opposition in the Feile Peil Finals hosted by Cavan & Monaghan. Captain Sean Cleary collected The Nenagh Watch Centre 2017 Feile Peil ‘B’ Trophy from Chairman Tom Dawson.